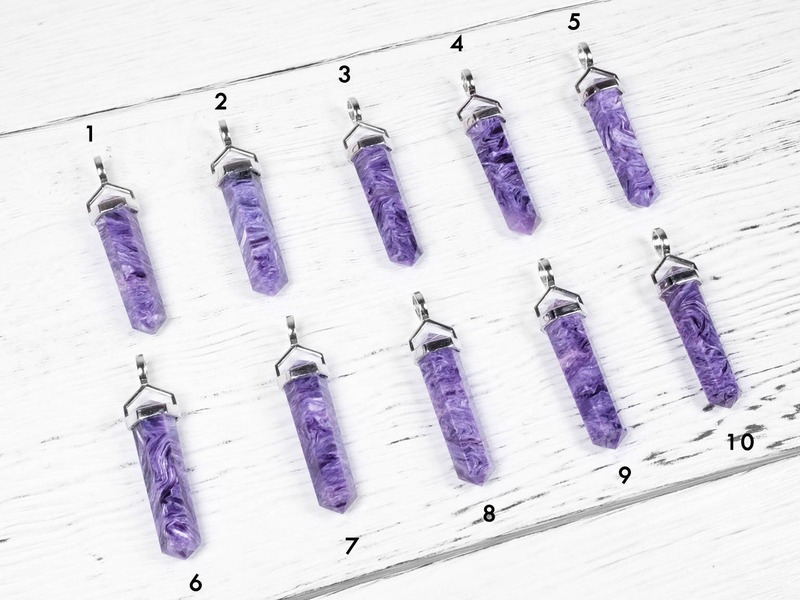 This batch of charoite stones are very high quality with rich solid purple colors and intricate silvery pattern. 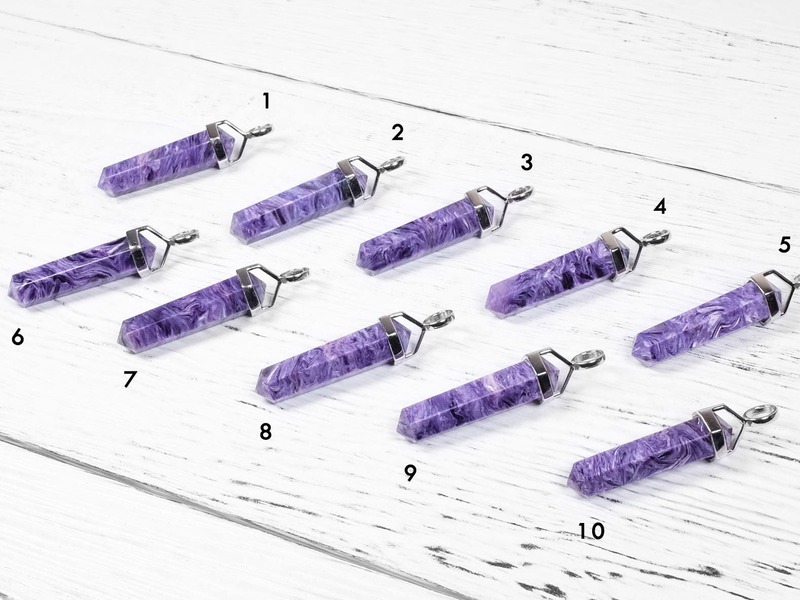 These two elements are characteristic of this Russian gemstone. 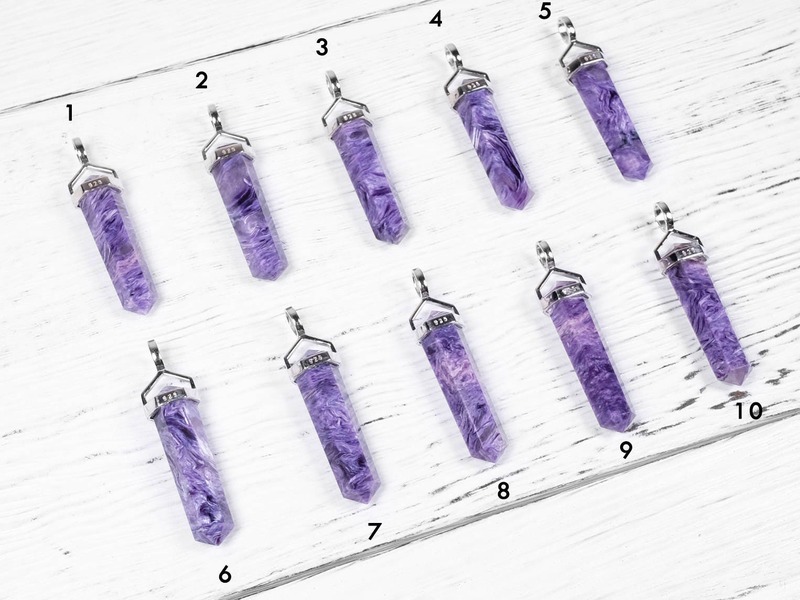 The stones are set in 925 sterling silver hinges. 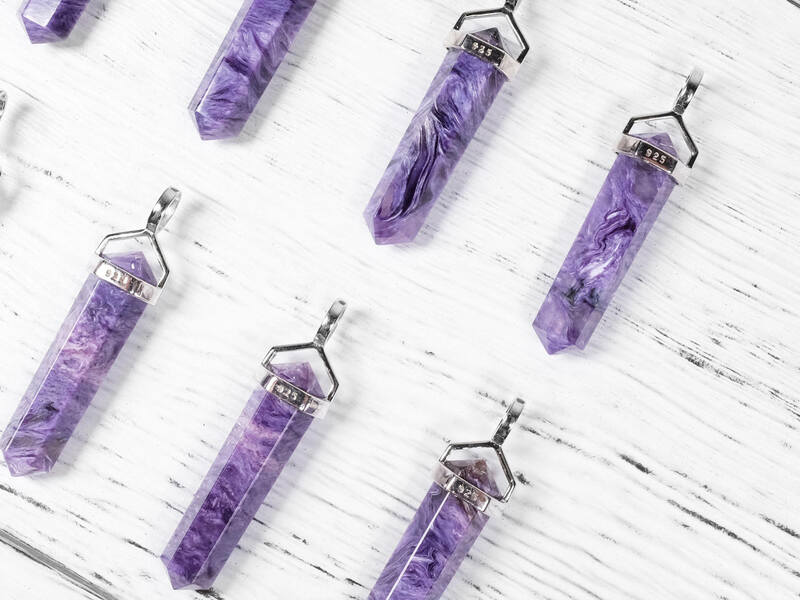 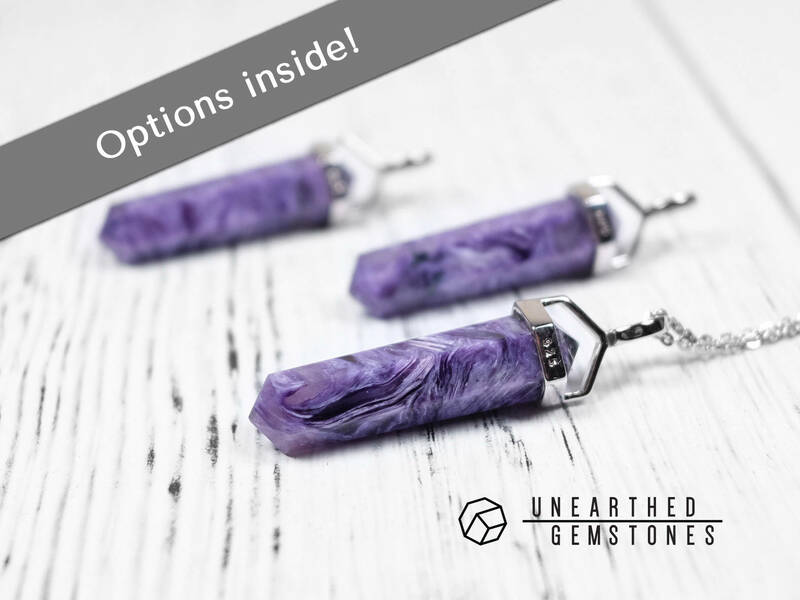 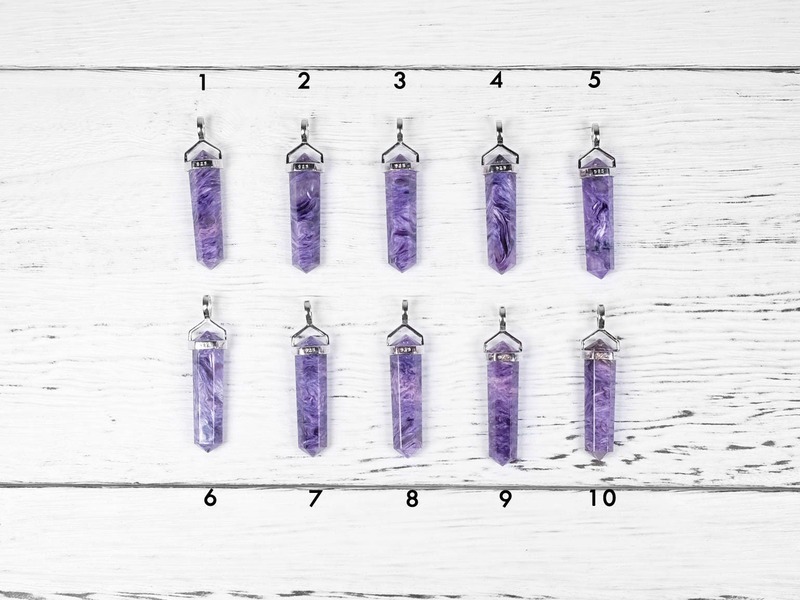 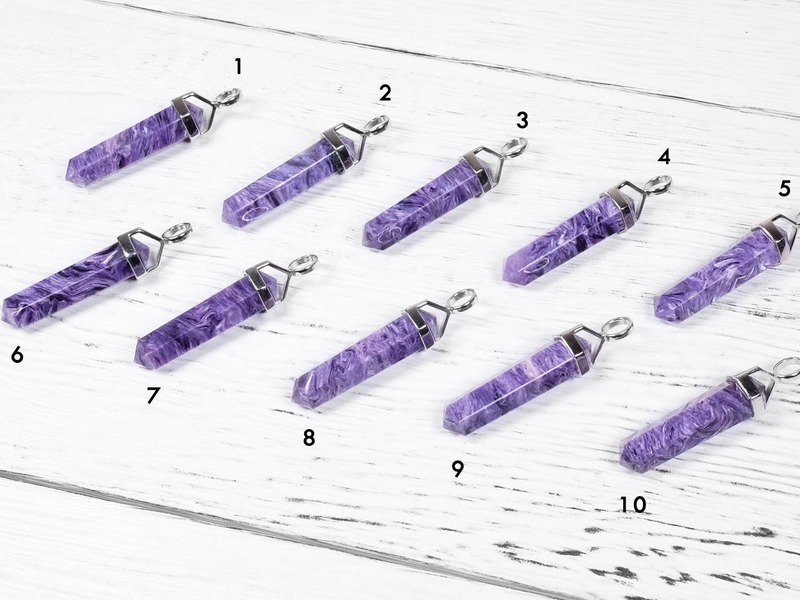 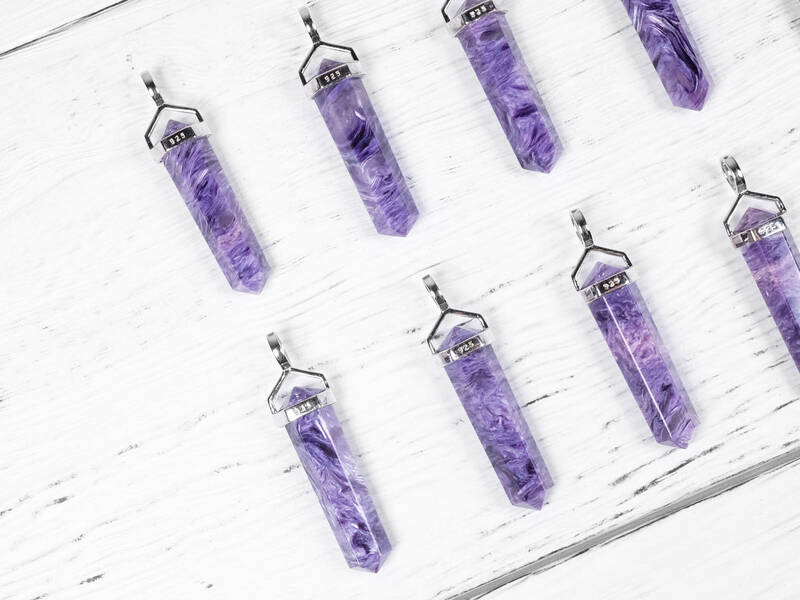 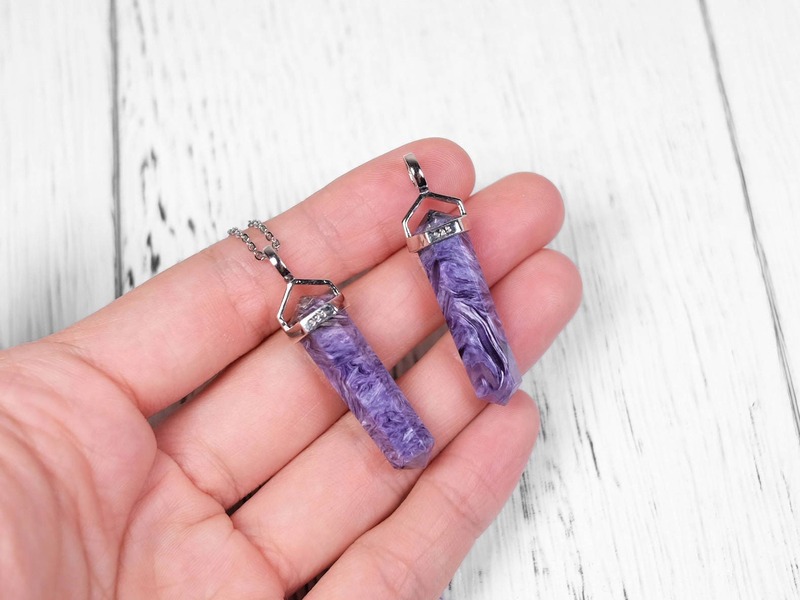 Great choice if you are looking for a quality charoite necklace.